Lindgren took this image with a Sony A7RIII and Sony Zeiss 16–35mm lens at 16mm and f/5. You can tell why the shot took him that long. Lindgren wanted to capture the exact moment when the cards left the hand with the pair of aces clearly visible. He could tape the cards or use some glue, but he wanted the image to feel original. 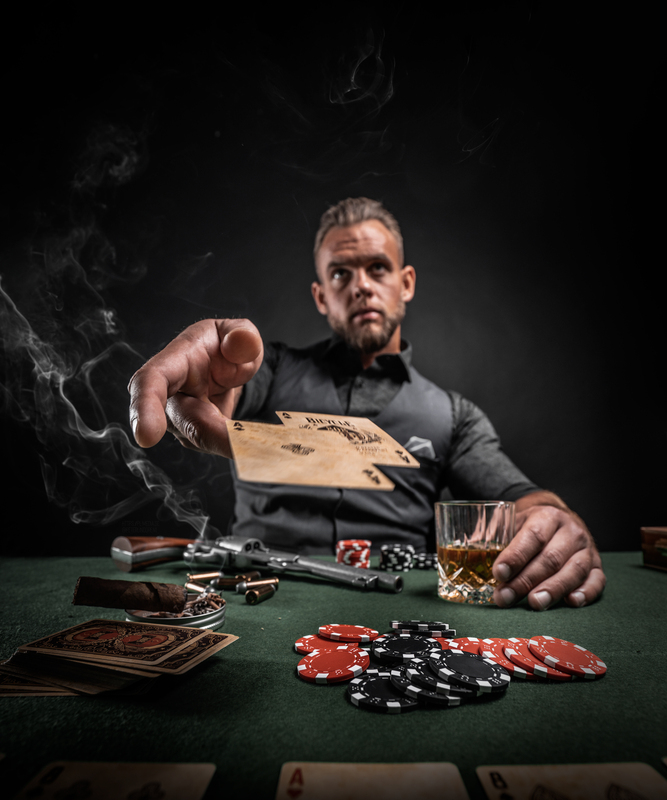 While the cards in the air give an interesting look to the image, a hint of “dead man’s hand” at the bottom together with the gun, the bullets, whiskey, and the smoke add serious drama.